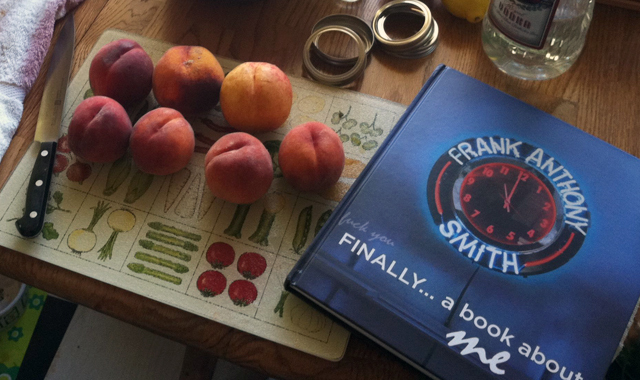 Utah artist Frank Anthony Smith has just published a book about . . . Tony Smith. Read Ann Poore’s review in the November 2011 edition of 15 Bytes. Hello! Fun to stumble upon this, will have to buy this book. I was a former student of Tony’s back in the day and I was hoping to get a hold of him as I recently saw a documentary about crows that made me think of him. Even with the help of the almighty internet I was not able to find his email(although I only search for 13 min). Anyway this is what I meant to tell him. Maybe you can pass it on. Tony!! Your drawing class at the U was one I really enjoyed! Being a typical self absorbed artist at the time I didn’t fully appreciate your class as much as I would have had I taken it now(more wisdom now). Still in the long run you, Wilson Sam, and Nate Winters were always my favorite professors, Cheers to the past!